Jeremy and I got the keys to our apartment this past weekend and it is so exciting!! We are ten days until the wedding which is just crazy! Everything has just flown by. We aren’t living in the apartment just yet, but pretty much everything is moved in! Moving was honestly not that stressful. It was such a smooth, fun day. Although it was smooth there are some things I wish I could’ve done differently and some things I am SO glad I did! Going up into the apartment before all the chaos starts is super important. It makes it easier to just take everything in and kinda get a game plan. Try and get everything in one trip. We were moving pretty close so it wouldn’t have been that bad if we had to make trips, but it was nice to just unload everything at once. Get your friends and family to help if it’s possible. We had so much help thanks to family and Jeremy’s friend. It honestly went by super quick and luckily we had so much help that I was able to start to unpacking stuff while they unloaded the boxes and furniture. LABEL EVERY BOX. We labeled most of the boxes, but there were a few that we forgot to label and it was kind of a guessing game. It was super helpful to have just a general idea of what was in each box. Don’t forget to bring toilet paper, paper towels, and soap. 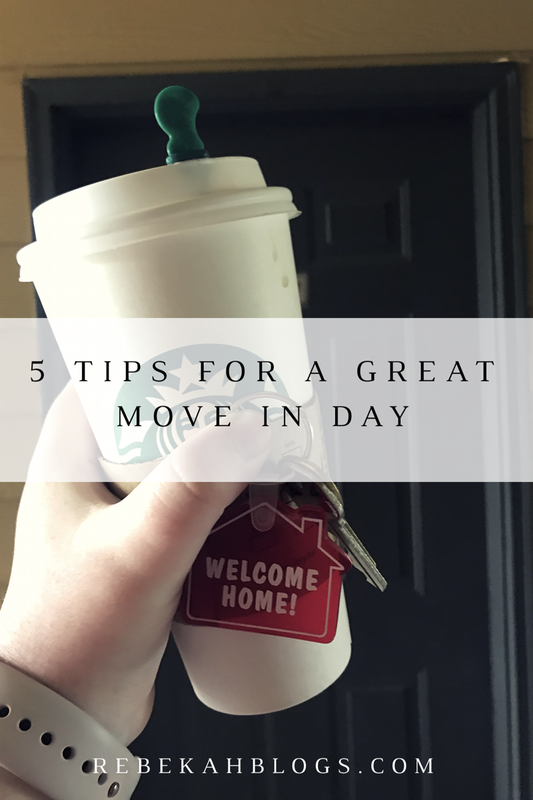 Even though you’re moving and you have everything it is important to bring all of that stuff up before the physical moving starts.